Once established avocados are easy to maintain and will provide loads of fruit every year - yum! This article covers all the ins and out of growing avocados in Perth. Sweet peas are great fun to grow. The flowers provide a cheery splash of colour in winter and the scent can be heavenly. Read our guide and get started with them! Think your garden is too small for fruit trees? Think again! Find out how with our duo planting guide. 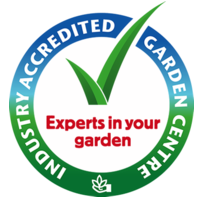 The weather is turning and it is the perfect time get out into the garden for some essential maintenance before winter. Delicious, nutritious and surprisingly easy to grow, there is no reason why you shouldn’t give growing blueberries a try at home! Read our simple guide to growing your own. Clematis are renowned for their large, delightfully coloured flowers in many different varieties. They are arguably one of the most beautiful climbers available. Read our guide on growing Clematis in Perth. Available now, we usually sell out so get in quick to choose your favourite variety. Get some delicious Seed Potatoes.